Homefire Fuel has been regarded as the market leader for smokeless stove fuel for many years. The beauty with homefire fuel is that it produces plenty of heat to keep you warm, whilst depositing very little ash, perfect for keeping the maintenance of your stove to a minimum. The fuel combines the traditional qualities of a real fire and is a slow burning fuel, this helps to control the flames easily. 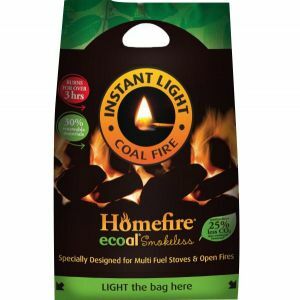 In addition homefire fuel also produces much less carbon dioxide than coal. 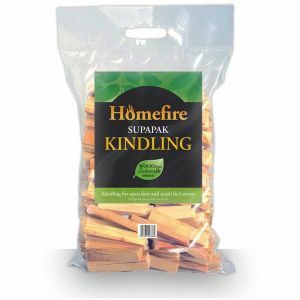 Burning Homefire Kiln Dried Hardwood Logs is a perfect way to heat your home, they generally contain 20% less moisture than regular logs. By being much dryer they offer a higher burn temperature and also keeps your stove free from moisture.